Just like the air conditioner itself, there’s a point where getting repairs is actually costlier than just having it replaced. Likewise, your ducts can undergo enough abuse that they eventually need to just be replaced entirely. That isn’t to say that ducts are expected to go through intense wear-and-tear. Rather, disconnects and tears can gradually form as the duct material degrades. Pests in the attic or crawlspace can also do their part in creating this damage, and so can the clumsy traipsing of a handyman making his way through the attic. It’s estimated that up to 30% of energy can be lost through these tears and disconnects, making it crucial to have them sealed up. To maintain that efficiency at the best value, it’s worth calling a duct replacement specialist in Miami to find out the best way to proceed. When your air conditioner is installed, a proper HVAC technician will do a series of calculations to ensure that you’ll have a correctly sized AC unit. With that comes the measurement, sizing, and design of the ducts. This means that every installed duct system is as unique as the air conditioner that uses it. When it’s time for a new air conditioner, then, it’s natural to replace the duct system along with it. One reason is that you’ll want to have new measurements and designs done to match your new AC. The other reason is that your old ducts may have accumulated dirt, leaks, and other issues that you’ll wish you had just gotten rid of altogether when you had the chance. Any HVAC technician can install a duct system, but it doesn’t always mean they’ll do it properly. That isn’t to say that your previous HVAC contractor failed to install the ductwork—you would definitely notice if that were the case. 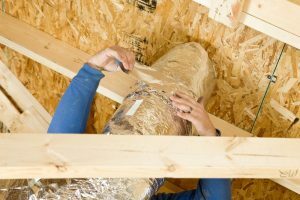 Rather, it’s not uncommon to find that some duct systems are installed with unnecessary bends and turns, low-quality materials that are bound to degrade quickly, or without enough insulation in the right spots. Too many bends and turns can increase the amount of distance it takes for the conditioned air to get to the rooms, which will affect efficiency. Likewise, the same thing can happen if there isn’t enough insulation in the right spots. A lack of insulation can cause the cooled air to become warmer in hotter parts of the house, meaning that the cold air won’t quite arrive where it needs to. Is it time to replace those ducts? We can help you find out with a thorough duct inspection. Contact Air On Demand to find out today!